Senior Safety: GPS Tracking Bracelet is a real-time monitoring device engineered to enhance both family safety and personal security. 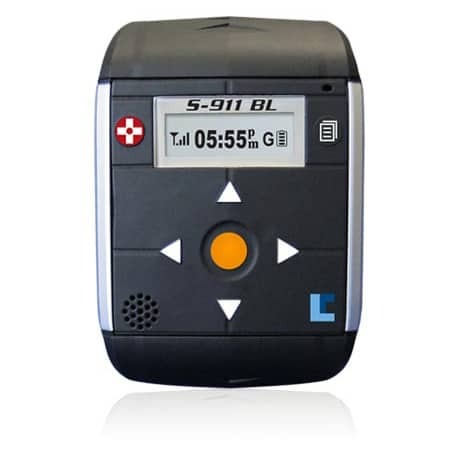 Perfect for wandering senior citizens or children with disabilities, the GPS tracker is fashioned as a lightweight wristwatch that provides both historical and real-time locational information regarding the whereabouts of anyone wearing the GPS device! Concerned parents, family members or caregivers can rest assured their loved ones are safe with the GPS Tracking Bracelet. Please note that a outside monitoring service provider is no longer offered. Customers are responsible for monitoring their own personal tracking data. Data from the GPS Tracking Bracelet is viewed through an online platform known as LocationNow. Through this web-bases application, virtual boundary and other alerts can be programmed. However, the best part is that the real-time GPS tracker data can easily be viewed from a iPhone, Android or any other smart phone with Internet connection! Personal computers, tablets and other Internet-enabled devices can also remotely access the live tracking data from GPS Tracking Bracelet! Purchase Includes ONE YEAR OF TRACKING SERVICE ! The GPS Tracking Bracelet is set to update a real-time position every 30 minutes or every mile the person wearing the device moves. Families monitoring high risk users such as wandering seniors with Dementia can have the device programmed to update every 15 minutes or quarter mile of movement. 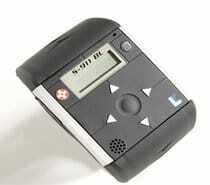 *GPS tracker system has the capability to report as fast as every 3 seconds. However, changing the update interval will result in more data consumption, requiring more cost. Adjusting the GPS tracking system to report faster should only be done in emergency situations because it will result in overage charges on the data plan. GPS Tracking Bracelet comes with a lock and key mechanism designed to enhance personal safety by making certain seniors suffering with Dementia or children with cognitive challenges cannot remove the personal GPS tracker. GPS Tracking Bracelet is designed to offer tamper warnings that will alert parents or caregivers if the person wearing the device attempts to remove the tracker! Alerts can be sent directly to email inbox or cell phone via text message!